Trying to lose weight but, despite your efforts, not getting your desired results? There’s a chance that you need to do more working out and improve your diet even more. However, there’s also a chance that you need more than just diet and exercise. Your inability to see results could all be hormone-related. Hormonal weight gain is real and it could be stopping you from seeing results. 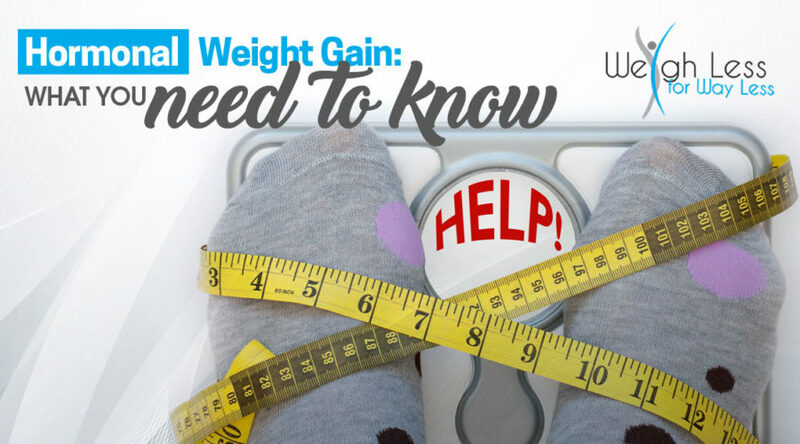 People usually cringe whenever they hear the word “weight gain.” Weight gain is usually associated with overeating, not working out enough, being lazy, and having a less than desirable appearance. That being said, it is important that we establish what normal weight gain is versus that which is not. Weight gain can be defined as the increase in body weight resulting from an increase in muscle mass or fat deposits. To start with, weight gain is not always a bad thing. In fact, we gain weight several times over the course of our lives. A newborn, for instance, is expected to double its birth weight at 6 months of age and triple it by the end of the first year. Likewise, we gain weight as we mature, get taller, and grow in body mass. Aside from these, an increase in weight may also result from the collection of fluids in certain body parts but this is usually due to a medical condition and could be serious. Unintentional weight gain is increase in weight that’s caused by increasing your food consumption or by a reduction in exercise or activity levels. It simply is “unintentional” and, oftentimes, its cause is unknown. While not always harmful in nature, unintentional weight gain may actually be a result of an underlying medical condition and may still be considered normal. One such case is pregnancy, where a woman is expected to steadily gain some weight (not become overweight) due to the growing fetus and fluids. Still, there are other (more serious) medical conditions that trigger unintentional and persistent weight gain, and since the gain here isn’t normal, may need more than just the usual diet and exercise. Examples of such underlying illnesses are hormonal disorders such as hypothyroidism (causing obesity) or growth hormone deficiency (causing weight gain, mainly around the waist). 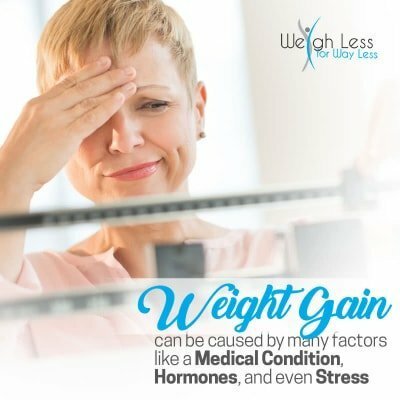 Weight gain and weight loss processes are different and unique to each person. Just as our DNA and fingerprints are different than our neighbors, the amount of calories it takes to gain weight and the amount of caloric burn it takes to lose weight is unique to each person. You may find that you’re gaining weight a lot faster than a friend, despite having the same eating habits. Or you may notice that your same friend tends to lose weight way faster than you do, or doesn’t put on weight at all, despite having similar activity levels. The best answer is C). In fact, for unexplainable and persistent weight gain, there could be underlying causes over which exercise and diet alone may not be effective. These underlying causes might even be medical or hormonal in nature, therefore warranting further testing and/or medical intervention. Now, you might be wondering how you can tell if weight gain is hormone-related. Thus, we’ve compiled a short list of symptoms that are typical of hormonal disorders and imbalances. If you happen to experience any of the above in addition to unintentional or persistent weight gain, then chances are hormones are the problem and that is why the “cookie-cutter” approach to treatment (e.g. going to the gym, special diet) just isn’t working for you. If that is the case then it’s best to consult with a specialist, like an endocrinologist, to see if there’s a primary condition that needs to be treated before starting or continuing your exercise or diet regimen. 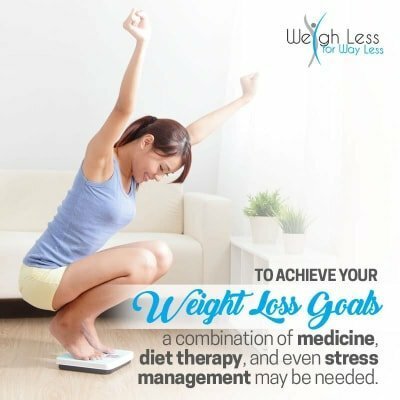 A specialist should be able to help you achieve your weight loss goals through an individualized approach that typically involves a combination of exercise, medicine, diet therapy, and even stress management. Want a program that’s professionally tailor-made just for you and determined by you Our Chicago area weight loss program considers your biological and hormonal factors, lifestyle factors, diet preferences and much more. It is 100% unique to you.Call us today to learn more. Have a?question about Hormonal Weight Gain?or starting your weight loss journey? ?